First, let me give a bit of background on why I’d even consider taking my wife up on something crazy like this (other than the fact that I’m head-over-heels for her). I’m a rule-follower to a fault. If the sign at the pool says you must shower before entering, I’m one of the few people that actually does it. Why do we own two cars? Why do we need to use a microwave? Why do we need a 4-bedroom, 3 bathroom house?? Lots of things that seem like rules aren’t really rules at all (Tweet this ) . So, when Jaime suggested floor-sleeping, it stirred my curiosity. Why do we sleep in beds? Think about your own answer: If you sleep in a bed, why? If you’re like most people, this question probably hasn’t ever crossed your mind. 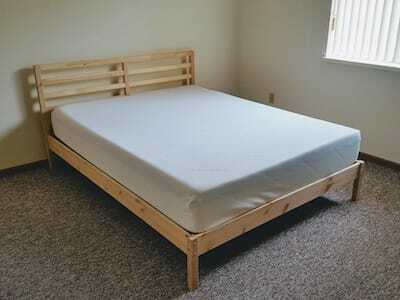 In western cultures, beds are a fixture in our homes from childhood. Sleeping on the floor sounds more like a punishment than a viable alternative. 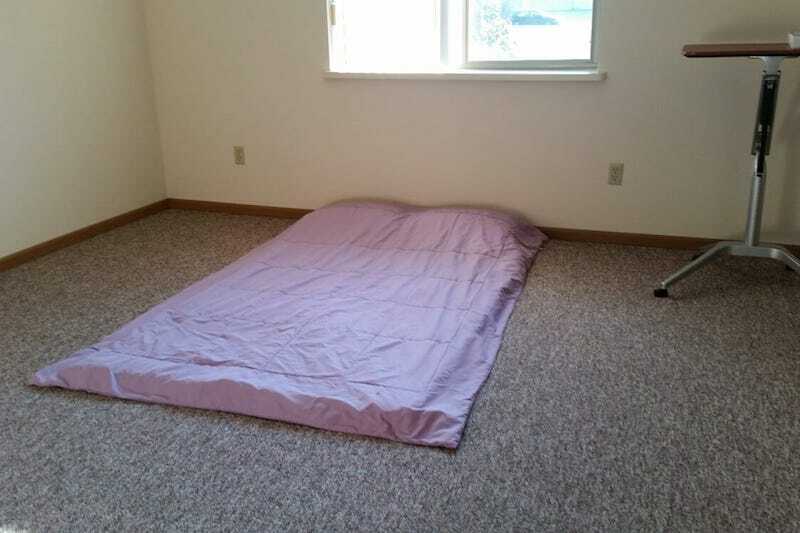 What are the first words that come to mind at the thought of sleeping on the floor? Discomfort? Pain? Restlessness? That’s how I felt, but in truth, I didn’t really have any idea. All of those thoughts were just untested assumptions. Thousands of years ago, we didn’t have fancy mattresses that change firmness at the push of a button. I’m a believer in scientific progress, but I hadn’t yet seen the science. So, I did a bit of research on alternate sleeping methods and what I found was surprising. In many parts of the world, (Japan for example), floor sleeping is quite common. 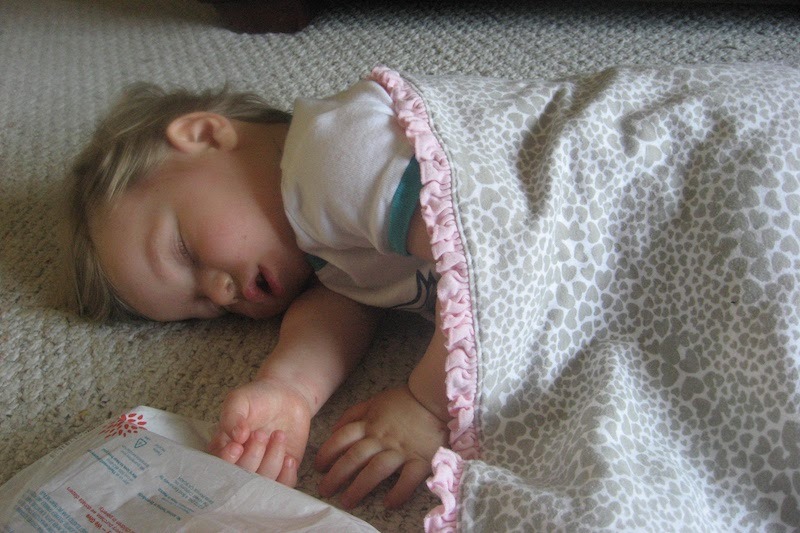 Sleeping directly on the floor or on a thin fold-up or roll-out mat is just as acceptable as sleeping on a raised mattress. These cultures haven’t switched wholesale to bed-sleeping (and the reasons behind that aren’t financial from what I can find), so maybe bed sleeping isn’t a superior option after all. I also found that some doctors in western cultures prescribe floor-sleeping as a treatment for back pain. Personally, I’d been dealing with on-and-off back pain for years leading up to our experiment. If doctors were prescribing floor-sleeping as a fix for back pain, was it possible that bed-sleeping was a poor choice for my back? My research showed me that the idea of floor-sleeping isn’t completely crazy. What’s more, there was a chance it might even be better for me than what I had been doing. So, I told Jaime that I was on-board and we kicked off our great floor-sleeping experiment. We’ve found it’s really important to define a minimum timeline when experimenting with alternate living. We knew our bodies were going to take some time to adjust to sleeping on the floor. So, we set a 1-month minimum time for the experiment to make sure we were giving ourselves enough time to make an honest assessment. Following advice from the Grateful Gordons, we laid out a comforter on our floor and slept on top with our pillows and blankets. As bedtime came, we laid down on our backs and could immediately feel the pressure in our hips and shoulders. The space between the arch of my back and the floor felt like a vast void. I spent the better part of the night tossing and turning. Sleeping on my back worked for about 30 minutes before the weakness and pain in my back would send me to my side. 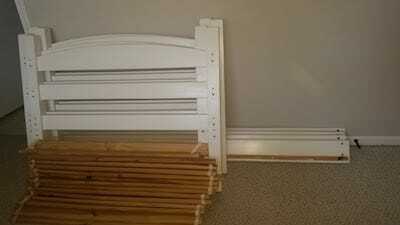 Sleeping on my side worked for about 5 minutes before the pain in my shoulder and hips would send me to my back again. What about sleeping on my stomach? Not even close. When I woke up in the morning, my back hurt, my neck hurt, my shoulder hurt, and I was exhausted. I asked Jaime how her night was. She shared some of the same feelings, but not to the severity I did. Jaime’s an all-in kind of person. She felt confident that our bodies would adjust and this experiment would be a good thing. There was a small part of me that wanted to give up, but I’d committed to giving this a month and wasn’t going to cave after the first night. I did some research on sleeping positions and decided to try sleeping without a pillow. As the first week progressed, we refined our sleeping positions. When I was on my back, I did best with no pillow or just a couple folded blankets. This kept my spine and neck in straight alignment, which minimized any discomfort. What I did feel most was muscle weakness - telling me that I had muscles in my back that had been sorely underutilized. When I was on my side, a full pillow worked best to keep my neck from bending toward the ground. In my years of sleeping in a bed, I hadn’t put anywhere near this much effort into thinking about how I was sleeping and trying to fine-tune my approach. But the work seemed to be paying off. Over the rest of the month, I saw a steady progression. The pain in my back, shoulders, and hips during the night had reduced to occasional discomfort. What’s more, when I did wake up with a bit of back pain in the morning, it disappeared within the first 15 minutes of getting up. That was a stark contrast to my experience as a bed-sleeper. Some amount of back pain was a given every day of the week. We had committed to a month and were trying to figure out what to do next. Jaime was doing great but I was still a bit uncomfortable. That said, I’d seen changes and progress over the month and wanted to see if I’d ever get truly comfortable sleeping on the floor. We’d come this far, so why not continue? By the third month, we were both doing well. Sleeping on the floor had become as natural as sleeping in a bed and I found that my back pain had disappeared. It was a long period of adjustment, but I felt better every morning than I had in years. While we started this as an experiment, I began to see this as a viable longer-term option. It didn’t mean we’d never get back to bed sleeping, but I no longer felt like this was just “something we were trying”. As the summer of 2017 approached, we were selling our house and kicking off our one-year mini-retirement. We had grown so comfortable with floor sleeping that we actually opted to sell our beds rather than move them to our new apartment. About nine months in, back pain reared it’s ugly head again. But this time it wasn’t my back that was struggling - it was Jaime’s. It started as a mild ache, but over a few months, it progressed into more and more pain. We tried sleeping on our futon couch. Jaime’s back didn’t get any better and mine flared up the first day. We tried sleeping on a foam mat on the floor. Jaime’s back improved a bit, but it still wasn’t better. My back handled the foam mat better, but it still wasn’t as good as being directly on the floor. 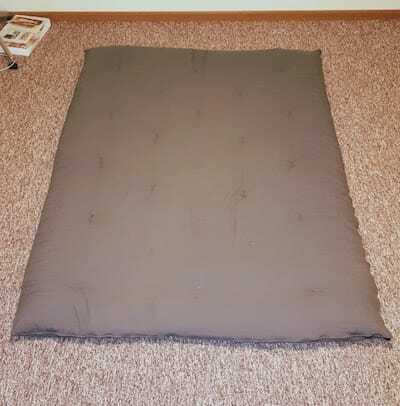 Then, we stumbled on a listing on Freecycle for a queen-sized Japanese roll-out sleeping mat. I’d been wanting to buy one once our Buy Nothing New Year was over so I was thrilled to see this one listed for free. I e-mailed the poster and we got lucky that she chose to give it to us for free. We started using it and it was amazing. 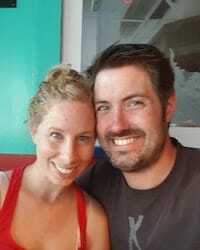 Jaime’s back pain got worse and eventually escalated into a debilitating case of sciatica. We thought we might have come to the end of our experiment, but before we decided, we wanted a professional opinion. Jaime went to a chiropractor from our church and got an answer. Our chiropractor said that the floor sleeping wouldn’t have contributed to Jaime’s pain at all - if anything, it might have been helping to keep the pain from getting worse. Jaime started receiving chiropractic adjustments and slowly her leg and back pain improved. With Jaime’s back improving, we seemed to be set to be permanent floor-sleepers. Then Jaime threw me another curveball. A little over a year in, Jaime told me she wanted to talk (uh oh). What? We’d gone through this whole floor sleeping experiment and I thought we had found something that worked for us. Then she walked me through her reasoning. As we looked forward to building our house, it certainly made sense to have a bed that visiting family could sleep in. We knew we could make it on the floor when we had guests present. I wasn’t sold until she pitched it to me with just the right wording. Darn. She knows me too well. How could I say no? In February of 2018, we bought a bed. We got one with a 100-day return policy so we could truly try it out and then decide what we wanted to do from there. We bought a mattress and sheets, as well as a frame from IKEA. We spent about $1000 and 3 hours of assembly time to get everything together. How was the first night? Not surprisingly, it was very much like the start of our floor-sleeping experiment. Jaime adjusted fairly well the first night and woke up feeling fine. I woke up with shoulder pain, a sore lower back and a kink in my neck. Diligently, I committed to a week of experimenting before coming to any conclusions. Jaime’s back was improving a bit but mine was getting worse. Would we be relegated to sleeping in different areas? We wanted to be a couple that shared a bed for our whole lives, but what if our bodies needed different surfaces? We hemmed and hawed - it wasn’t an easy decision. I have to admit, there’s a lot I like about the bed. It’s a good-looking piece of furniture. It’s cozy to hang out and stream a TV show on. Jaime had been using it as a desk chair when working on her computer and he back pain was improving. As we thought it through, we came to the conclusion that we’d been chasing the wrong culprit for Jaime’s back pain. It wasn’t floor-sleeping, mat-sleeping, or bed-sleeping that was causing her pain - it was the hours of time she was spending sitting on a hard folding-chair hunched over her laptop. Since she’s started using the bed as her desk chair, her back pain is steadily improving. So, for the moment, the jury’s out on whether or not we’re keeping the bed. We certainly should be able to find Jaime a better long-term desk chair than a $1000 bed. Sleep-wise though, we’re back to floor sleeping. My back is happier on our Japanese roll-out mat than it ever was in a bed. Now that we’ve figured out the source of Jaime’s back pain, she’s said that she’s good with floor sleeping as well. 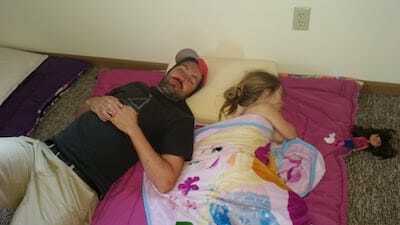 Going through our sleeping experiment saga, you may have wondered about our kids. 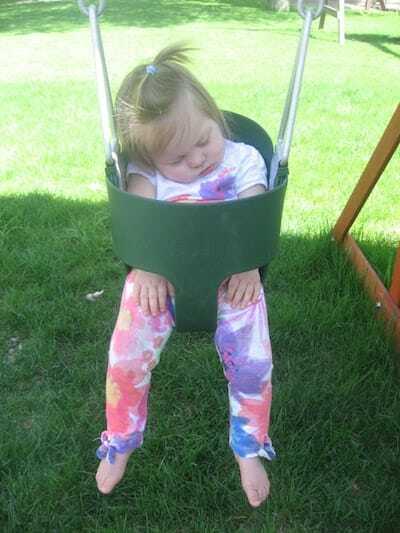 If you’ve been around kids enough, you’ve probably seen some of the hilarious positions and places they’ll fall asleep in. On playground swings, leaning against a dog, or in the middle of eating a banana - we’ve seen it all. So, when our kids showed an interest in joining in, we rearranged their bunk beds into an awesome, cozy fort and gave them a chance to try floor sleeping for themselves. They were excited to give it a shot and adjusted really well, so they’re floor sleeping now just like us. When we were in Hawaii, our girls even had the option to sleep in a queen bed and opted instead to sleep on fold-out mats and the couch because they found them more comfortable. While floor sleeping has been working well for us, we recognize that it may not be perfect for our family forever. If we do go back to bed sleeping, we’d probably be looking at very firm mattresses as a happy middle ground. Ready to Give Floor Sleeping A Try? In the end, our unlikely experiment has turned into a longer-term option. Our bedroom is easier than ever to clean, our back pain has improved, and moving is a whole lot easier. Is floor sleeping the right option for you? I won’t pretend to know the answer. We only found out our own answer by pushing outside our comfort zone and trying a little experiment. I don’t think this lifestyle is perfect for everyone, but I am a big advocate for testing your assumptions and limits. You’ll never know if there’s something better out there if you don’t try. So the question is, what are you willing to experiment with in your own life? Are you a bed sleeper or a floor sleeper? Or maybe hammocks are your thing? Are you at least a little intrigued by the concept of floor sleeping?